Property Law, or Land Law, is formed from regulations within Civil Law. These are often related to rules from other Legal areas (Procedural, Administrative, Commercial, Tax etc.). Our firm includes lawyers with extensive knowledge in each distinctive area of Land Law, who can help complete your property deals. These are not only regulated in the Civil Law Code, but also in mortgage law, notary law, the Code of Civil Procedure, Special citizen regulations (such as the Urban Letting Act), or the Foral Law, which is applicable in some territories of the Spanish state. We have lawyers who specialise in Foral Civil Law, who can also control all your formalities in Spain. It is important to keep in mind at the time of carrying out property trading, to take notice of other types of law, including Administrative Law, and its aspects which refer to construction, tax and fiscal. Construction Law is made up of judiciary-administrative rules which regulate town planning, deal with the land management and the use of the use of the land. Land law is extensive, and is regulated by not only State Administration, but also the autonomous and local Administration, which makes issues related to this branch of Law more complex. Our lawyers can help you to apply for permits, or litigate with the Administration in cases of disagreements. On your behalf, Fiscal Property Law is present in all types of property trades, including both those carried out by companies and by individuals. Different types of taxation exist according to the type of trade. Therefore, it is essential, for accurate advice regarding Property Law, it is advisable to choose a lawyer who has as much knowledge of Civil Law as Fiscal Law. We take care of the taxes which must be paid not only in the moment of investment (IVA, ITPAJD) but also at the time of divestment (IIVTNY, capital gain in the IRPF or in the IRNR). For many clients who are not residents, our lawyers take care of completing their fiscal obligations during the property tenancy. For example, our lawyers can take charge of the Wealth Tax or if there is a need to declare income for the renting of a property. In our firm, we have lawyers with ample experience in all types of trades with property, having advised clients of all types, whether individuals or legal persons, residents or non-residents. For example, our lawyers have advised foreign individuals who previously lived outside of the European Union and who wanted to buy property in Spain, either as an investment or as a second residence. We have also helped companies which are not based in Spain who would like to purchase factories or hotels in Spain. 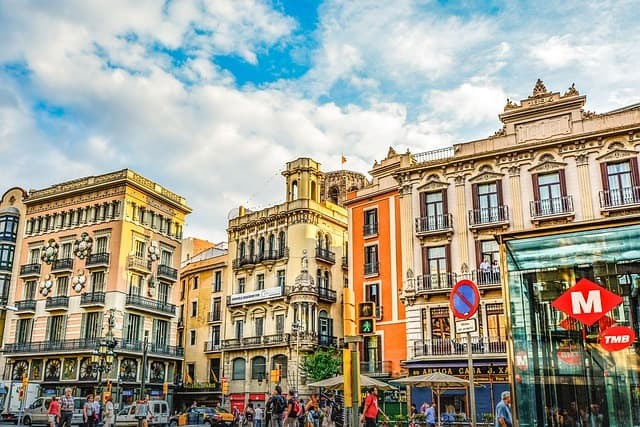 Before carrying out a property trade in Spain, please do not hesitate to contact our experienced lawyers, who will be happy to manage all aspects of your case. You can contact us by using the form below, via email (info@pineradelolmo.com) or telephone (+34 93 514 39 97).